Your digital audiobook copy of Smart Money Smart Kids will be available as a download link in your order confirmation email after check-out. PDF: This format is compatible with tablets, desktop computers, and any reading software that opens PDF files. In this bundle, you’ll get the eBook and audiobook of Dave and Rachel’s #1 New York Times bestseller. 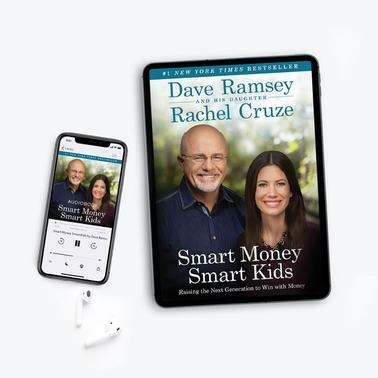 The unabridged audiobook is read by Dave Ramsey and Rachel Cruze and runs 7 hours and 19 minutes and you can choose from three available eBook formats (iPad/iPhone, Kindle, Nook).